The first step to maximizing your manual wheelchair performance and function is properly maintaining the equipment. 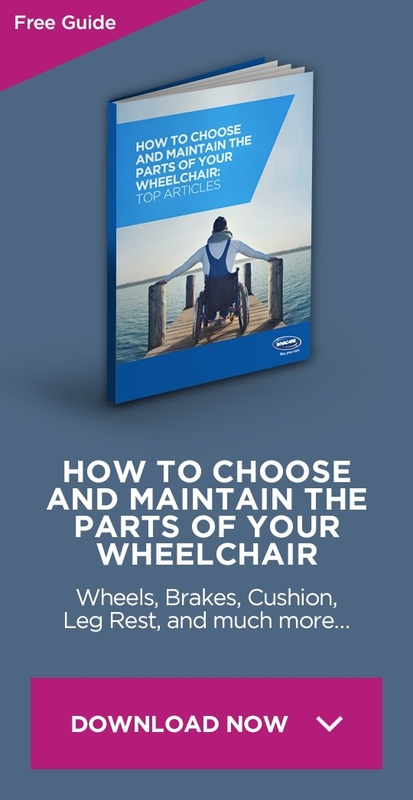 Please refer to the blog on Maintaining your Manual Wheelchair for Optimal Performance! Learning to use your chair properly and to the best of your ability will not only promote provide you increased function but also long term health of your joints and body. 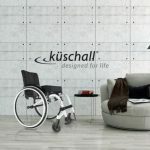 The wheelchair skills you are able to achieve will be dependent on your level of function and so each even individuals with even the same diagnosis will achieve different skill levels. This blog is based on information from research and information from several different sources. Please see links for further information. One of the most important skills is to maximize energy and joint preservation by learning to push the wheel and chair efficiently. To do this, place your hands on rim/wheel at a position of 10 on the clock, and plan to release at 2pm on the clock. The goal is to focus on fewer/longer push strokes. Release the rim and recover, dropping your arm and hand below the push rim. With one push only, let the chair roll on a level surface and realize the distance you are able to travel without initiating another push. This type of propulsion stroke does require increased trunk stability and should be practiced with a professional. 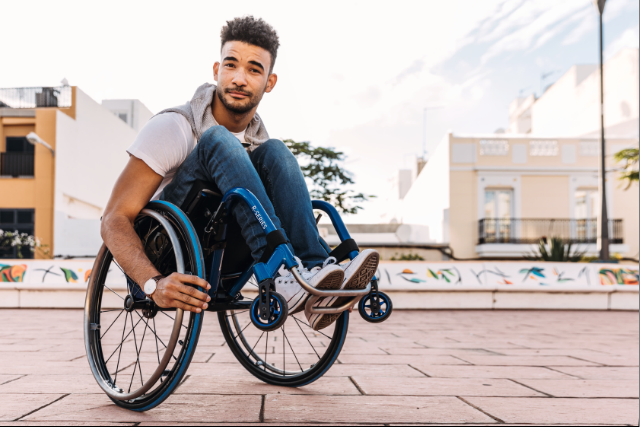 If the chair veers more so than your strength differs, refer back to wheelchair maintenance to be sure there is no issue with the wheelchair frame and tires/casters. If you feel fatigued at the end of the day, ask for a session with a therapist on manual chair configuration and instruction on push-strokes. Learning to turn the chair and manever in tighter/smaller spaces, is accomplished by pushing one wheel forward while pulling back on the other at the same time. If your trunk and overall balance allows, lean forward into the stroke for extra power. For declines it’s opposite lean back and shorten your stroke to regrip the wheel sooner to maintain control of the chair speed. You want to load 80% of your weight on the rear wheel. This will minimize the “tippiness” of the chair. For another approach, for both incline and decline you can use a “zig-zag” pattern of pushing the chair. This will decrease the workload on incline, and slow the chair on decline. 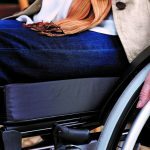 Another useful resource is http://pvamag.com/pn/article/7628/wheel_skills that also provides information on wheelchair skills. Some of the videos include wheelies in place, wheelies moving forward, wheeling from grass to sidewalk, turning in tight spaces, descending a ramp in a wheelie and navigating curbs, bumpy terrain and potholes. Please remember these skills are not to be tried and learned alone but with the help of a skilled professional or personal coach. It is recommended you meet with your therapist or equipment professional to assess your skills and abilities and determine which are safe for you to perform.